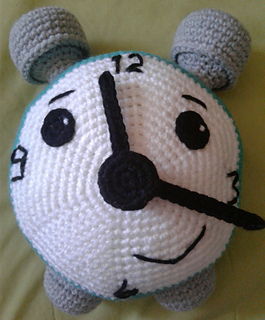 Al Clock is a great learning tool and cuddle toy. You can use him to teach how to tell time. The clock hands move around to whatever time you want.